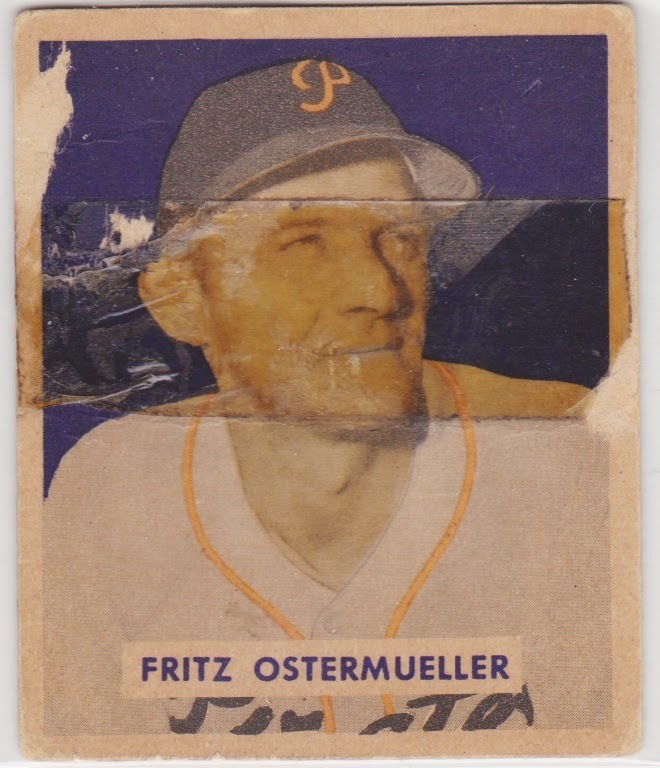 This post tracks progress on my low-grade 1949 Bowman baseball set. Some collectors call it the ugly duckling of post-WWII issues, given its stark (and probably cheap) hand-tinted colors over black-and-white photos, but it also broke ground in set size (240 players) and featured plenty of stars, most notably New York's Yankees, Dodgers, and Giants. 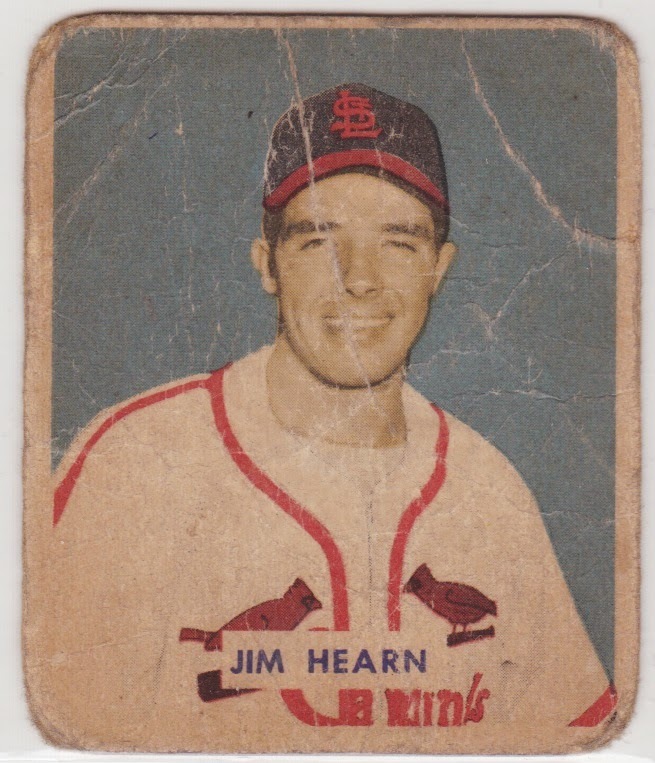 Ron Hobbs noted Bowman printing sheets had space for 252 cards, but "reprinted" a dozen players from earlier series, so numbering stops at #240. 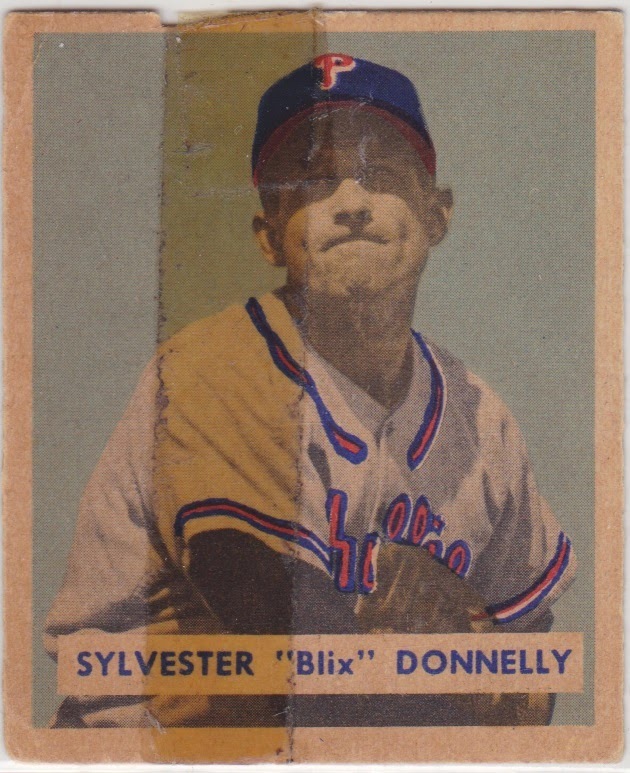 Stock and design variations push the master set to 324, a real challenge considering the scarcity of higher numbers (#145 and up). 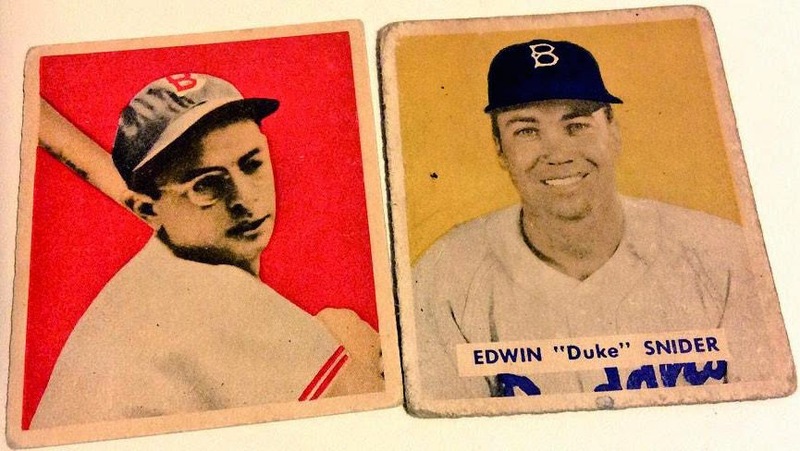 Feb 8, 2015: Edwin "Duke" Snider and Dom "Little Professor" DiMaggio arrived! 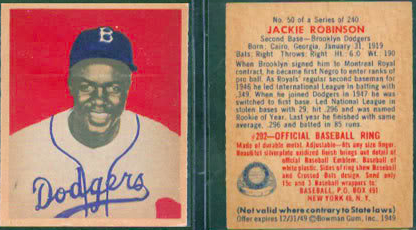 Late in 2016, I procured Jackie Robinson's first Bowman card and put this set to bed! Thanks to everyone who traded and sent cards along the way.